This tropical jungle property belongs to Armando Rodriguez. Armando, a leader in the conservation movement of Peru is originally from Lima. After living many years in the Cusco area where he worked as a professional photographer, tourist guide on the Inca Trail and as a rafting guide, he travelled to Tarapoto and encountered a beautiful property and it was love at first sight. Armando made Tambo Ilusi�n his home 31 years ago and has been protecting his property, its forest and its water source ever since. Since 2013, Tambo Ilusi�n is also an intimate retreat center. This project was initiated by Armando and his life partner Johanne Delisle, yoga teacher, health coach and yoga entrepreneur. Due to its geographical conditions, Tambo Ilusi�n is a natural haven for the flora and fauna. It is ideal for people who want to get away from the busy life and come to a place full of nature and biodiversity. 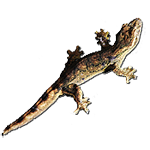 We have had forest, bird and fauna inventories done by various specialists See inventories. There are over 500 species of trees on the property and over 90 species of birds can be seen over the course of a year. In the forest of Tambo Ilusi�n, we opened a trail of 1.4 km where it is pleasurable to walk and observe nature's wonders. In addition to forest restoration and protecting the water source, we practice other activities such as bee-keeping, production of humus (worm raising) and work in the nursery. We are also starting the production of vegetables using permaculture techniques. Conservation - Environmental Education - Ecotourism (experiential tourism). As for our vision and objectives, this section was written three years ago. These are still our goals but these past three years have been dedicated to develop the tourism aspect of the business and for lack of time and resources the farm activities have been neglected. Yet we are growing papayas, bananas, turmeric, ginger, corn, yucca, citrus, coffee and more. To achieve harmony with nature we need to achieve sustainability of the area. That is, adapt to the geography of the terrain and obtain resources from the land in an optimal manner while making the least negative impact possible. To do this, we are generating a process that we call the "virtuous circle". The "virtuous circle" entails protecting the water source, preventing erosion and improving the soil in order to produce basic goods for sustainable living. These goods include agricultural products such as fruits, vegetables, fish, chickens and eggs, as well as building materials and some holistic remedies applying permaculture principles. This, all with the idea of sharing it with our guests. It all starts with the improvement of the soil and proper use of the water. The Amazon rainforest is known for its acid soils poor in nutrients. Now that we have learnt the basics of permaculture, we are collecting organic matter produced by the forest. This mulch which consists mostly a mixture of dried leaves is the basis for generating a nutrient-rich soil while protecting it from erosion and from crusting due to the extreme heat. Lombriculture (worm raising) is also an important activity for us as worms have multiple uses. Earthworms perform a unique role in soil ecology. They are also a food source for small mammals, amphibians and birds. In our virtuous circle, the worms will be part of the chickens' and fish' diet and the main objective of raising worms (lombriculture) is the production of humus (worm manure), an excellent organic fertilizer for improving soil fertility. As horse manure is the main food source of worms, horses become an important part of the virtuous circle. In October 2014, we adopted a horse! In the ponds fed by water from the lagoon (which is fed by subterranean springs) we will practice small scale fish farming where the fish will be fed harvest fruit surplus and our much talked-about earthworms. Another objective is to restore degraded forest areas which are small areas within the property that have been invaded by fodder for livestock (brachiaria brizantha) which are invasive grasses that prevent the natural regeneration of the forest thus a threat to the biodiversity. We relate to our community by collecting rubbish in the neighbourhood and working with the municipality helping improve the quality of life in our neck of the woods. We are also welcoming small groups of students at Tambo Ilusi�n to help raise their awareness of environmental and conservation issues. So many projects! And we are still in the early stages.... It's exciting! Armando had to stop the beekeeping activities as a disease affected the bees of the region last year. Armando plans to start again but in a different location on the farm. Beekeeping is an important part of our virtuous circle for bees provide honey and pollen are foods and propolis it is an effective remedy. In addition bees make a very important work contributing to the pollination of the forest. Armando found no one to pass on the responsibility of the projects he initiated on the farm. The reality is that it is difficult to get qualified individuals in all specialties to support all our projects. Armando�s son, Daniel, joined the team a year ago and has initiated a garden of medicinal plants. We invite you to come and enjoy this little paradise. Tambo Ilusi�n is a place for nature lovers and for people who appreciate country living and who want to experience living on a conservation area in the jungle participating in as little or as much as desired in the many activities of ACP Tambo Ilusi�n. We aspire to having a place where like-minded individuals from diverse backgrounds can meet. We offer several alternative programs such as retreats with master plant and our programs "Viva la Conservation" that provide an ideal opportunity to interact directly with nature, walking in the woods, breathing fresh air, eating healthy and with enough free time to rest and relax.. See program "Viva la Conservaci�n"
If the luxury of a 5 star establishment is what you are looking for, Tambo Ilusi�n might not be for you. Tambo Ilusi�n is not a resort, it is a "chacra", best translated as a farm. The "tambos" (cabanas) are cozy, clean and the beds very comfortable. We offer a rustic electricity-free environment (except for the dining area), shared bathrooms (which are kept very clean!). There is a beautiful secluded lagoon you can swim in. In addition, we offer hospitality, delicious vegetarian food, low exposure to electromagnetic fields and a magical setting. In staying with us a few days, not only will you have a great vacation and a memorable experience but you will also be supporting the conservation of nature in this beautiful corner of the world. And if you want to get more involved you can participate in some of the activities and small projects of ACP Tambo Ilusi�n. We are open to suggestions to help us preserve this land. We are especially interested in connecting with knowledgeable people who would be interested in collaborating on our permaculture project. Armando Rodr�guez Tynan found this property, the place of his dreams in 1985 and has been taking care of it ever since. The land was dedicated to the production of 'aguardiente' (sugar cane alcohol) by its previous owners. There was a mill and a distillery which was converted into the house. Its fields were pastures for livestock and sugarcane crops. Most of the forest had been cut down for these purposes. The property had a water spring that formed a splendid lagoon, the soul of this land, and a creek. On the shore of this creek was a small forest that provided firewood used in the production of the 'aguardiente'. This small forest had to be protected and the pastures reforested in order to be restored to their natural state. All of this to say that the place had great potential for conservation and ecotourism activities. The activities related to the production of 'aguardiente' stopped when Armando moved here. Armando's goal was to develop activities that enable the sustainability of the area and to show that on a small property, it is possible to coexist with nature without praying on it. Gradually, the forest has grown through natural regeneration as well as reforestation efforts over the years. Tree planting efforts were made with species like mahogany, cedar, glandular nakedwood (colubrina glandulosa perkins), "yacushimbillos" (which produce a fruit that the pichico monkeys like to eat) and other native species. Over the years, Armando did his best to protect the forest from fires coming from nearby farms, unauthorized entries with motive to hunt and to extract medicinal bark and plants, wood for construction, fire wood and fruit. Other threats are the growth of the city and "brachiaria", a pasture used to feed livestock that becomes a plague and prevents forest restoration. In 2010, the illusion of conservation became reality when SERNANP, the National Service of Protected Natural Areas, a division of the Ministry of Environment of Peru acknowledged the efforts made by Armando and granted his property the Ministerial Resolution of ACP, "Area de Conservaci�n Privada" (Private Conservation Area) number 075-2010-MINAM. As an ACP, Tambo Ilusi�n belongs to the large group of Protected Natural Areas of Peru at the same rank as Manu, Pacaya Samiria, Machu Picchu, etc. See the list of protected natural areas under national management. All this thanks to the timely help given by the NGO Peruvian Society for Environmental Law (SPDA). "Private conservation areas are properties that have official recognition for the conservation activities carried out in them. These activities undertaken voluntarily by their owners allow to preserve natural and cultural resources of the area, provide a refuge for species, and further contribute to providing environmental services such as pollination or seed dispersal." The Conservation targets of Tambo Ilusi�n are the water source, forest and lagoon thus preserving a representative sample of the highland tropical forest, water bodies and fauna & flora associated with tropical forest ecosystems. 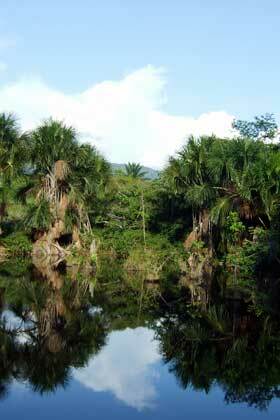 Its conservation objectives are related primarily to the water source and the forest. Tambo Ilusi�n was also recognized as an ACP because it is located in the buffer zone of the Regional Conservation Area Cordillera Escalera (the first ACR of Peru). Cordillera Escalera mountain range is the last of the Andes mountains bordering the Amazonian lowlands. So far, Peru has 83 private conservation areas (ACP), representing 280 000 hectares (692 000 acres) of land. Tambo Ilusi�n is the only ACP recognized in the province of San Martin, the most deforested region in the Peruvian Amazon. Furthermore, ACP Tambo Ilusi�n, with its 14 hectares (34.6 acres), is one of the smallest ACP to have been recognized so far. In 2011, ACP Tambo Ilusi�n won the fifth edition of the contest "Fondos Semilla de la Iniciativa para la Conservaci�n Privada y Comunal" (Seed Funding initiative for private and community conservation) of SPDA, the Peruvian Society for Environmental Rights. The prize money was used to build hoop houses (greenhouses) and to improve a nature trail with the intention of offering educational walks through the forest. At Tambo Ilusi�n, you can expect to see a good variety of flora and fauna (birds, small mammals, reptiles, butterflies and if you are lucky, monkeys ....). See inventories. Furthermore, the view of the Cordillera Escalera mountains and of the valley are inspiring. Tambo Ilusi�n is a place and a forest worth discovering, caring for and enriching. Come enjoy the wonders of nature in this beautiful protected area. Thank you so much for these lovely, sunny, relaxed days in your little paradise! We felt like home, enjoyed the "rico" food and the exotic nature. We wish you and Tambo Ilusi�n all the best in the future. We'll surely recommend this little paradise and hopefully come back one day!!! Johanne and Armando, this has been such a beautiful experience. We are so lucky to have found you guys. Thank you for the wonderful food, friendship and hospitality. Tambo Ilusi�n has really affected us. I will tell all of my friends about it and hopefully we will have the opportunity to visit again. Thank you again.